The Mysterious Madam Morpho (Blud #1.5) – Love the cover, but more Criminy please! 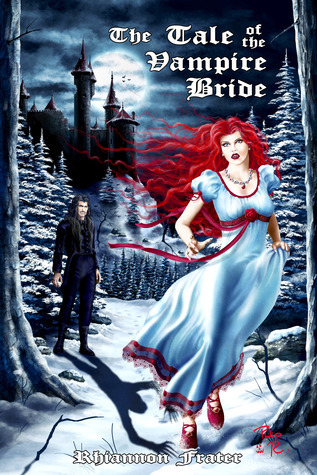 This is a novella from the Blud series. As a follow-up to Delilah Dawson’s debut novel Wicked as They Come, to hold us over until the next book we get to revisit her alternative London and Criminy Stain’s caravan. 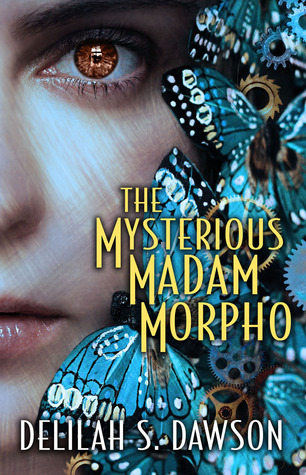 Instead of Criminy and Leticia (Tish) getting focus, we meet Madam Morpho, a new addition to the caravan with a unique ability to re-animate butterflies, and we meet Mr. Murdoch, the mysterious engineer behind the caravan’s clockworks and staging. Morpho is running from her past, but is she valuable enough for the caravan and Mr. Murdoch to run with her? I love this series for a combination of reasons, from the quirky steampunk London makeover to the blud bunnies to enigmatic Criminy himself. The first two are there in spades which is great, but I’ve unfortunately caught a case of Criminy fever and found myself missing his presence immensely this time around, Tish as well. 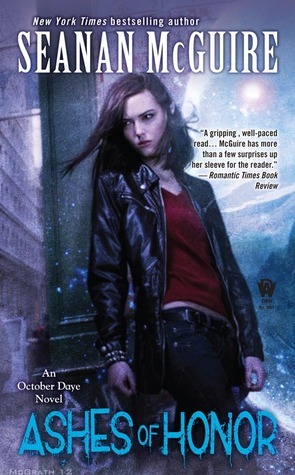 The world building remains impressive, with enough imagination to satisfy any urban fantasy/paranormal/steampunk fan, but the romance itself came up a bit short for me. Insta-love stories never really do it for me, namely because I just can’t suspend my belief enough to completely buy it, and that’s what we see here. Granted, Ms. Dawson is only working with 100 or so pages so she has to move quickly. It’s just that it didn’t resonate with me very much and if I was going to read this for the romance, I think it would have enjoyed it more if it was Criminy and Tish, an establish ship that readers are already invested in. Nevertheless, it’s a solid read and I do recommend fans of the series give it a shot. Wicked as They Come – Winners Announcement! Please check your emails ladies! Hope you enjoy! Thank you everyone for participating and I look forward to the next giveaway, which will be later this month! 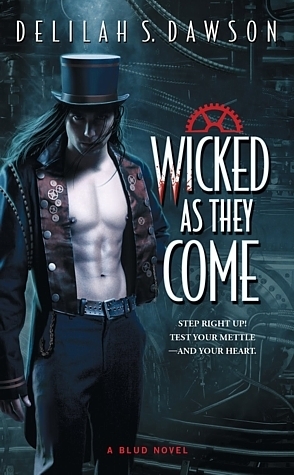 Review + Giveaway: Wicked as They Come (Blud #1) – My FAVORITE book of 2012 thus far!! Yeah, those of you who follow me closely know I wouldn’t throw that out there lightly, but there it is! I’d heard good things about the series but I wasn’t in the hugest rush to read it. Man am I SO glad I got around to it! Delilah Dawson introduces us to a new world through the eyes of Letitia Everett (aka Tish), a nurse who spends most of her time tending to patients in reality, including her terminally ill grandmother. That is until she stumbles upon this interesting ruby locket at an estate sale. Unbeknownst to her it happens to be enchanted, and once she falls asleep it thrusts her into an alternate world called Sang where she meets Criminy Stain, a rebellious gypsy Bludman (aka vampire) who has been waiting for her for a long time. After all, he’s the one that had the locket spell cast to deliver the love of his life to him. He leads a travelling circus mixed with fellow Bludman and Pinkies (aka humans) alike. Tish will fit right in as she realizes her powers as a Glancer, where she can see into someone’s past and future with just one touch. It’s a valuable ability and she learns her own fate when she touches Criminy, seeing her ultimate doom. Anchored between both worlds through wearing the locket, she can decide what she wants, but when the locket is stolen she goes on a journey with Criminy to find it. They face many enemies by land and sea, their ultimate target being the evil and manipulative Magistrate who hates all Bludmen and has a plan to eradicate them all from Sang. If they succeed, she must decide on a normal structured life or an unpredictable destiny with the person she was least expecting to love. Is Tish meant for all of this? I won’t answer that question here, but I can just say that I loved loved LOVED this book! Dawson has an amazing imagination and has crafted a truly unique world with the Blud series. I wasn’t sure how much I could get into the world-building because Steampunk novels can be too heavy on the details for my liking. But she was able to harness it and describe everything effectively while still keeping my attention. I seriously don’t recall being bored at all and that’s saying a lot. I liked that the Bludmen are really different for a change. Instead of being at the top of the food chain and rich like vampires in normal series, their race is oppressed and their people are considered second class citizens. Let’s not even get into the topic of a Bludmen becoming involved with a Pinky. It’s super taboo and usually the two races aren’t attracted to one another (well, aside from Bludmen seeing them as food of course). Because of this I enjoyed watching the tensions mount between the two. Criminy Stain. Just one word to describe him: AMAZING!! I just don’t know if we can get enough of this character. He is so unique in a genre where it’s only getting more difficult to separate the best from the rest. He’s a born leader, honorable and adventurous; he cares about his people and hates that they’re suffering, but even still he doesn’t become emo and self-loathing. He maintains a great sense of humor throughout it all. I probably haven’t read about a more dynamic character since Algaliarept from The Hollows. The only downside is that I’m not sure what the second book will have in store. The book doesn’t end in a cliffhanger, but I just can’t tell what’s going to happen next for him since the second book seems to shift focus. To ignore this character is to ignore a goldmine. He’s got potential to be a fan favorite, like a Jericho Barrons, Algaliarept, Jean Claude, Curran, the list goes on. I think the love story between Criminy and Letitia is very well done and not too heavy on that sap. It’s definitely more of a romantic adventure so a lot of the focus is on the adventure side of things, which is just how I like it. All the while the feelings build allowing things to happen at the right time. I really wish this series came out bi-annually simply because of him. Maybe we can coax the author into writing up some short stories or vignettes. 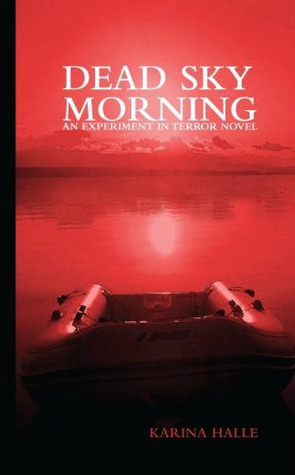 This series is one where I would love to see a movie adaptation created for it. It could be a big hit, seeing all of this come to life. 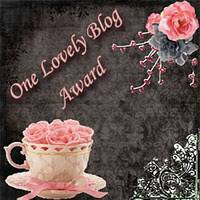 I just can’t gush enough and I’ve decided to hold a giveaway right now! I can’t wait much longer for more of you to read it so…. 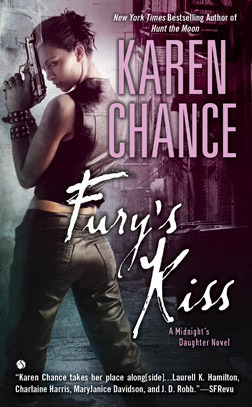 I will select two winners for this and they may choose either the paperback or the ebook. I am collecting entries through May 4th. I will announce the winners on Saturday, May 5, 2012. While I do appreciate RSS subscribers, I cannot confirm your status as a follower so your entry will not count (sorry! ); however, you are welcome to sign up by email and Twitter or Facebook.